Like innumerable children of immigrants, the 37-year-old chef has spent most of his life straddling cultures. Now, he’s putting his diverse experiences to work at his first restaurant, Lazy Betty—an ambitious concept in the old Radial Cafe space on DeKalb Avenue that’s been carefully conceived and test-piloted for the Atlanta market with an exhaustive, year-long pop-up series of the same name. 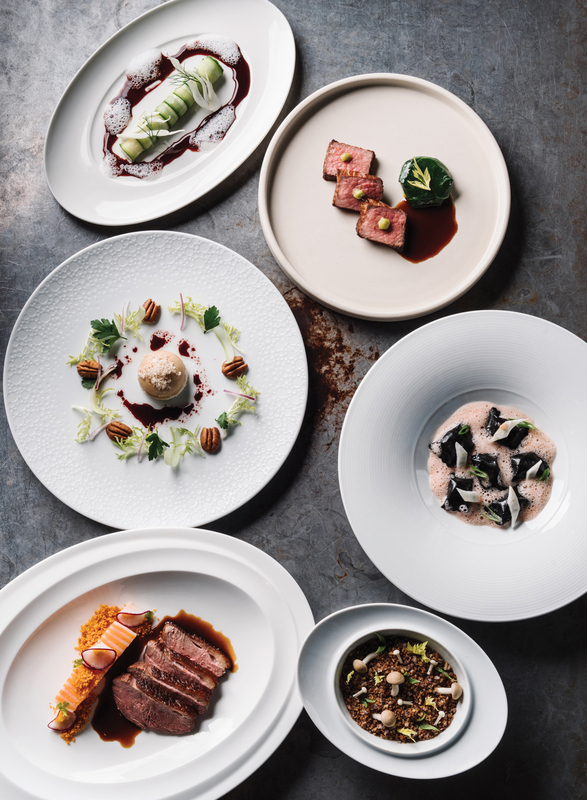 A restaurant centered on a seven- to nine-course tasting menu at $115 to $125 a head can be a challenge, but no one can quibble with Hsu’s credentials, his competitive nature, or his will to succeed. Before coming home to launch Lazy Betty, he studied French cuisine in Australia, held a top creative position at New York’s super-high-end Le Bernardin, and gained global exposure when he recently competed on Netflix’s The Final Table. His vision for Lazy Betty couldn’t be more unlike the seven Chinese restaurants his parents ran from 1980 until 2008. Yet those restaurants, and the family hustle that made them successful, are Lazy Betty’s foundation. Today, her former customers still make a point of greeting the matriarch when she holds court at Sweet Auburn Barbecue, the Poncey-Highland restaurant (there’s also a stall at Sweet Auburn Curb Market) founded by her two other children, Howard and Anita, in 2014. Ron intends to continue the Hsu tradition of treating customers like family at Lazy Betty, where Howard and Anita are managing partners. The name is a winking reference to Betty Hsu’s tireless work ethic. “She’s not really lazy at all!” Ron says. Ron has recently wrapped up the pop-ups to focus on his newborn baby and restaurant build-out. Back in New York, he’d dabbled in supper club–style meals at a friend’s house and at a bar. His Atlanta endeavor was more purposeful: a dress rehearsal for a brick-and-mortar in a market where he hadn’t worked for 11 years. It allowed him time to “test the waters,” create buzz, experiment with recipes, and establish relationships with farmers. In the end, he says, it also helped him find his core staff, develop a mailing list of devotees, and get a read on what Atlanta diners want. Later, as a miserable University of Georgia business major, Ron continued to nag his mother. He wanted to be a chef. If he was serious, she told him, he needed to find a job in a restaurant kitchen. And so, he worked as a line cook at an Athens pizzeria and, later, a tapas joint. Eventually, Betty acquiesced, agreeing to help send her son to culinary school in the spring of 2003. Ron already had planned to study abroad in Australia through UGA’s business college. 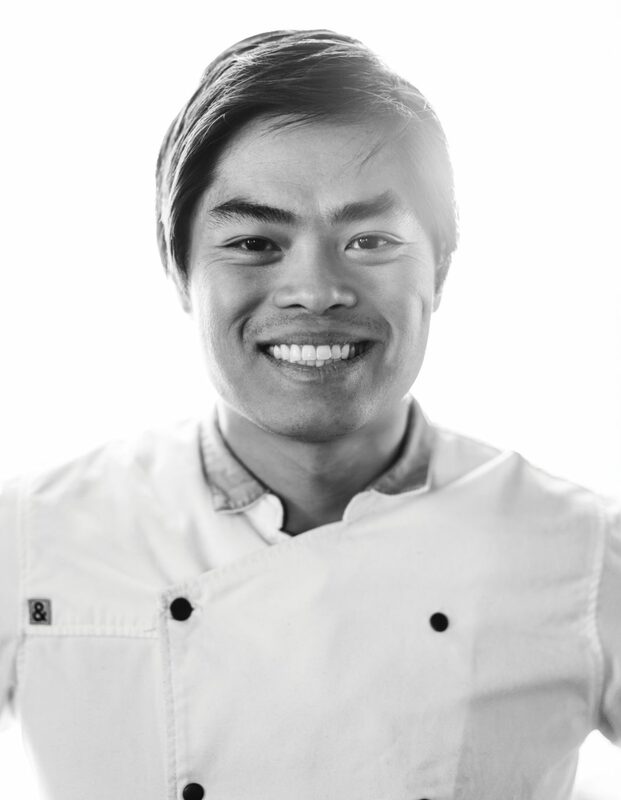 Instead, he enrolled in Le Cordon Bleu in Sydney, eager to soak up the city’s Asian food culture. 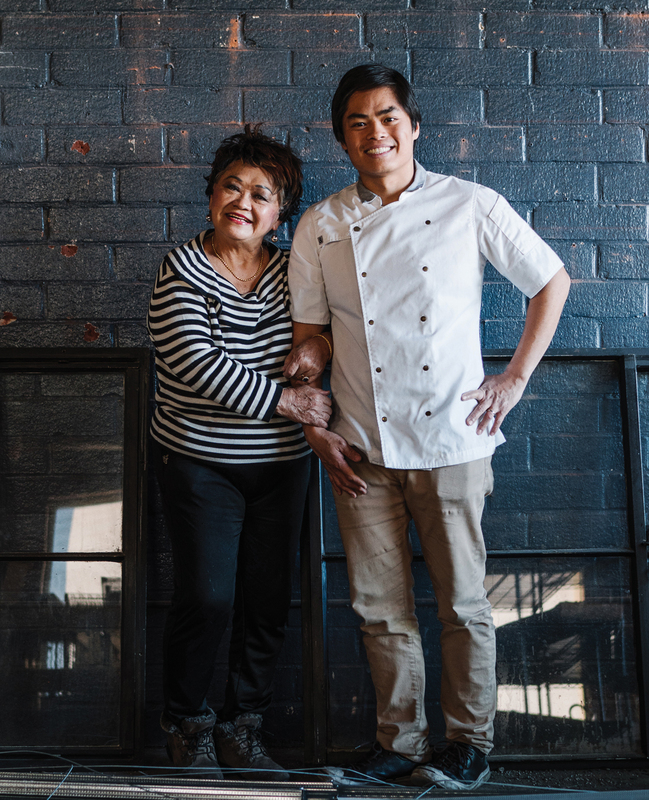 A year and a half later, he got kicked out of Australia for an expired visa and returned to Atlanta, where he found work in the kitchen of the late Dish on North Highland Avenue. Dish’s executive chef was Sheri Davis, who’d previously cooked at the now-shuttered Brasserie Le Coze at Lenox Square. The popular French dining room was owned by Gilbert and Maguy Le Coze, founders of Le Bernardin, the three-Michelin-star restaurant in Manhattan that’s generally regarded as one of America’s finest. After a few months as a line cook at Dish, where he remembers making many batches of rosemary–pine nut popcorn, Ron was promoted to sous chef. When he told Davis he was ready for change, she sent him to Le Bernardin chef Eric Ripert, who hired the 24-year-old as a line cook. Tasting menu (clockwise from top left): Cucumber cannelloni, horseradish panna cotta, borscht. Steak ’n eggs, wasabi, natural jus. Squid ink and lobster agnolotti, sauce Americain. Truffle Hunting in the Georgia Terroir. Liberty Farms duck, daikon–sweet potato terrine, hoisin-spiced jus. “Figs ’n Foie,” petite salad, maple vinaigrette. At Lazy Betty, Ron wants to tell his life’s story as a tasting menu. He likens the chef-curated dining experience to listening to Pink Floyd. You might like one song—but take in an entire album, and your mind is blown. As a meal progresses at Lazy Betty, Ron might nod to his early experience in Italian mom-and-pops (cucumber cannelloni filled with horseradish panna cotta); his affinity for Japanese cuisine (snapper tartare with puffed sushi rice); and his family’s fondness for Waffle House, where they often repaired after late nights in their restaurants (a rarefied take with wagyu steak alongside a sous vide egg yolk wrapped in a wasabi leaf). “Why you not use Kikkoman?” Betty jabs. “This is very good quality,” Ron replies. “Better than Kikkoman?” she says. Ron says the only dish of his that Betty likes is fettuccine Alfredo (she claims to also like his braised oxtails). Grandma loved it, too. When he used to come home from New York, he’d make big batches for his mom to freeze. “My mom, she could eat it for three days,” Betty says.